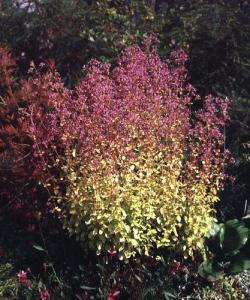 Origanum Pink Mist is a perennial herb with bright yellow fragrant foliage. It produces erect sprays of deep pink flowers from Summer into Autumn. It prefers free draining soil in a sunny position but will also grow in partial shade. Height 1m, spread 1m after 5 years.